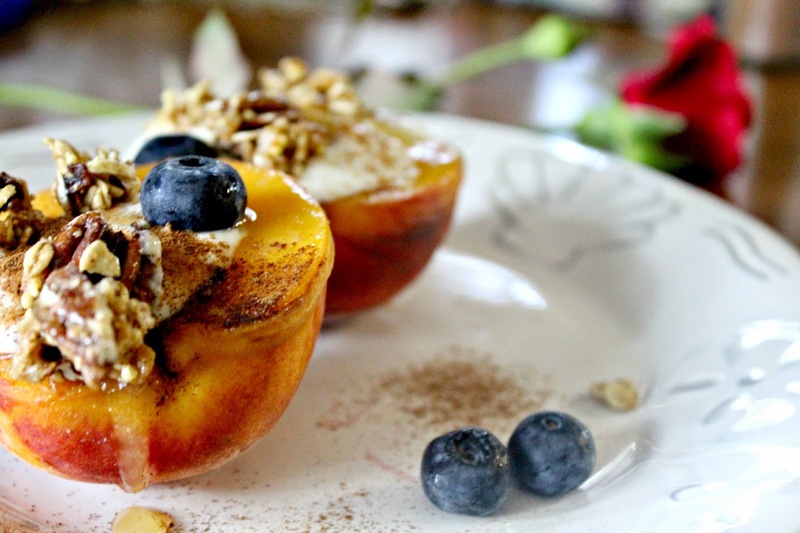 Blueberry Peach Bundles and I HAVE A CONFESSION!! 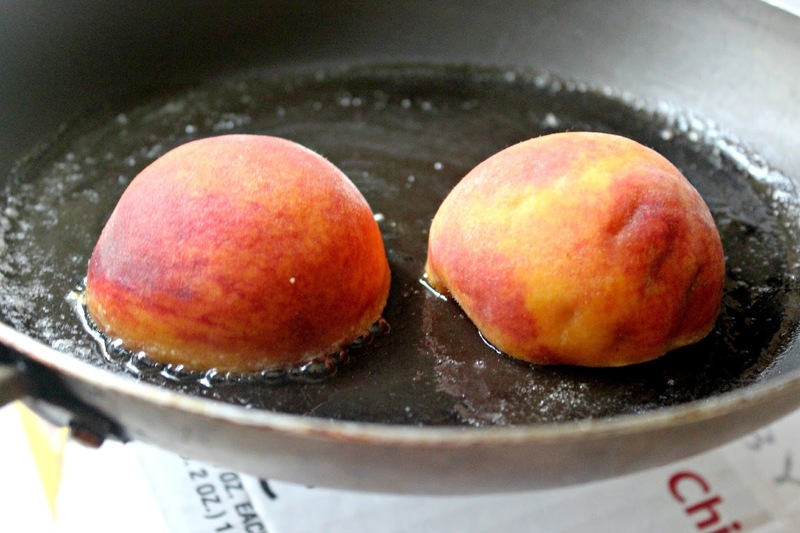 HOLY peach overload. 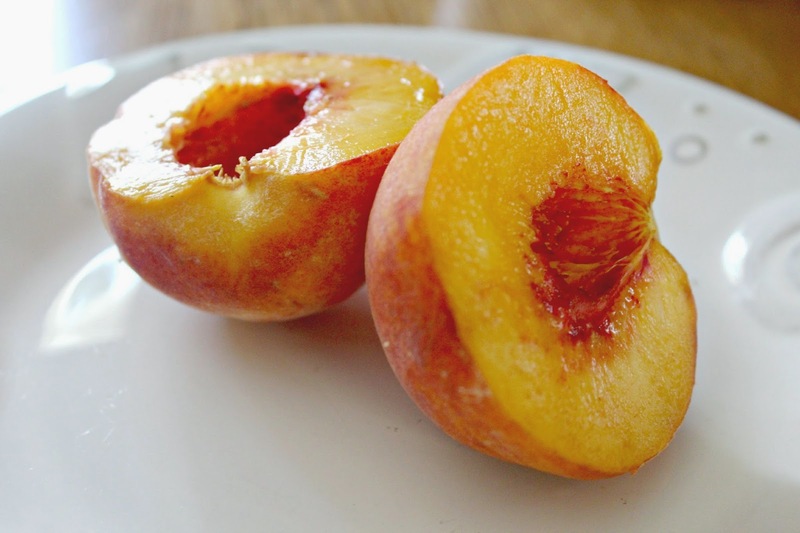 The peach pick-me-ups fresh from the fruit stands have been many. And I just. can't. get. enough. I'm a Georgia peach at heart! Remember my blueberry peach bundles? 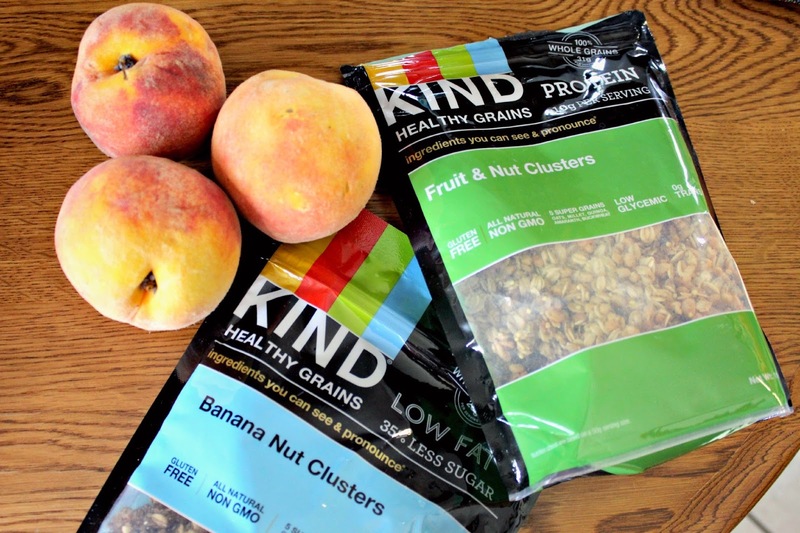 Well thanks to some fun happy mail from KIND Snacks, I had the pleasure of whipping up a delicious breakfast...or dessert...with their new KIND Healthy Grains Clusters. 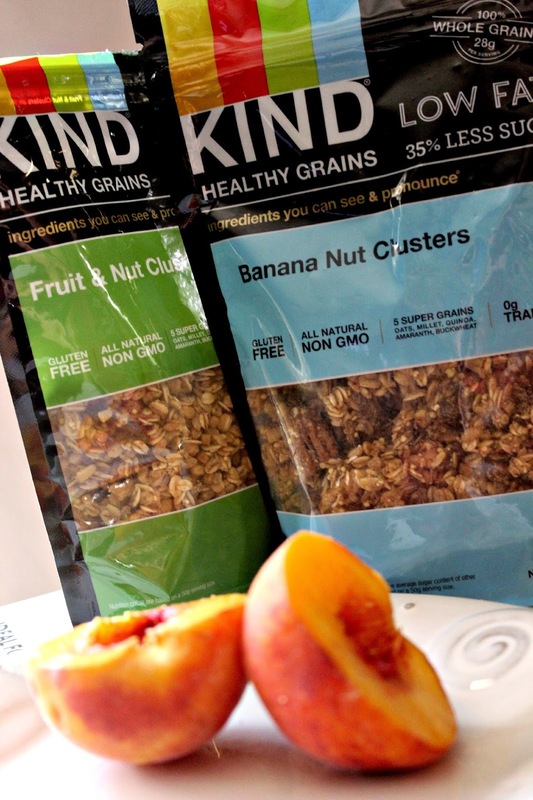 KIND Healthy Grains Clusters are a delicious new granola with a unique blend of five super grains. Each serving provides you with more than one full serving of whole grains. And the delicious nutty taste will bring you back for more and more. My favorite KIND Healthy Grains Clusters were the KIND Healthy Grains Banana Nut Clusters. The crunchy pecan clusters with hints of banana would be great on yogurt, pancakes, or even alone as a snack. 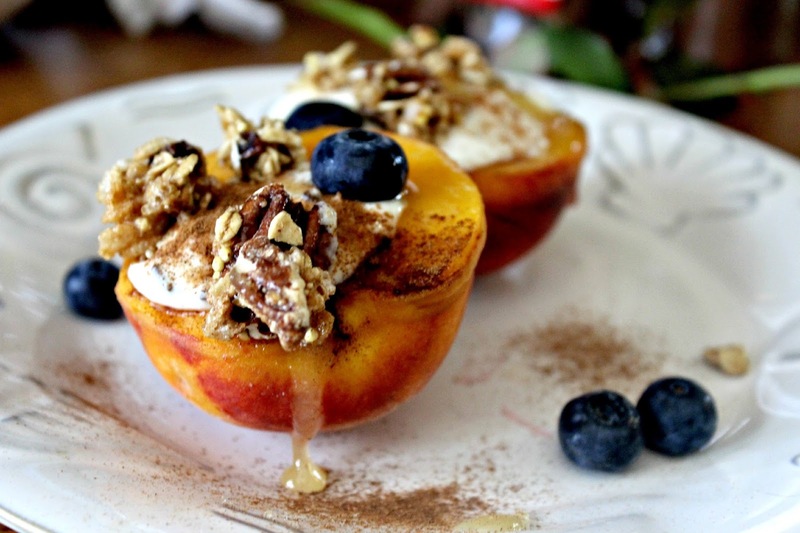 But I wanted them to be the crunchy topping on top of my toasted peach yogurt boats! Sprinkle with cinnamon, a scoop of Greek yogurt (I used banana! ), drizzle with honey, and top with KIND Banana Nut Clusters for the perfect crunch. 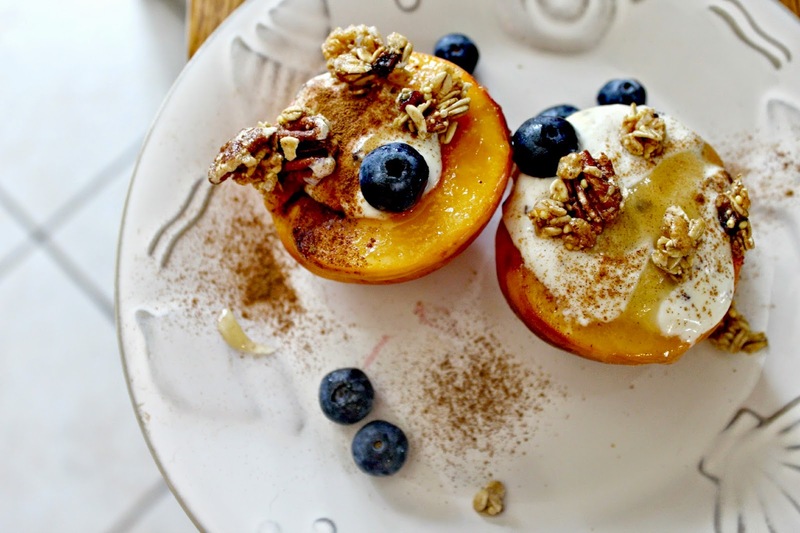 These toasted peach yogurt boats with KIND Healthy Grains Clusters are sure to start your day off well, or end it on a sweet, healthy note! OMG. 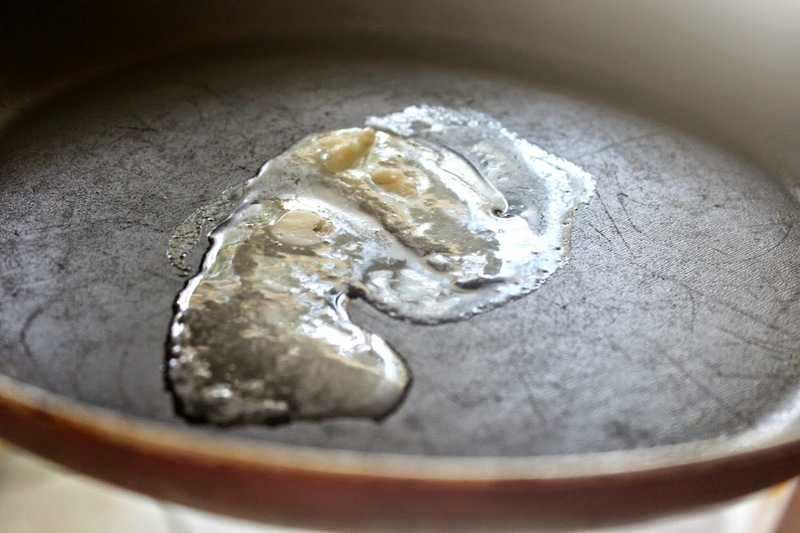 Your foods are definitely mouth watering! Definetely following!